You must make reservations at least 5 minutes in advance of the time at Violino Gastronomia Italiana. 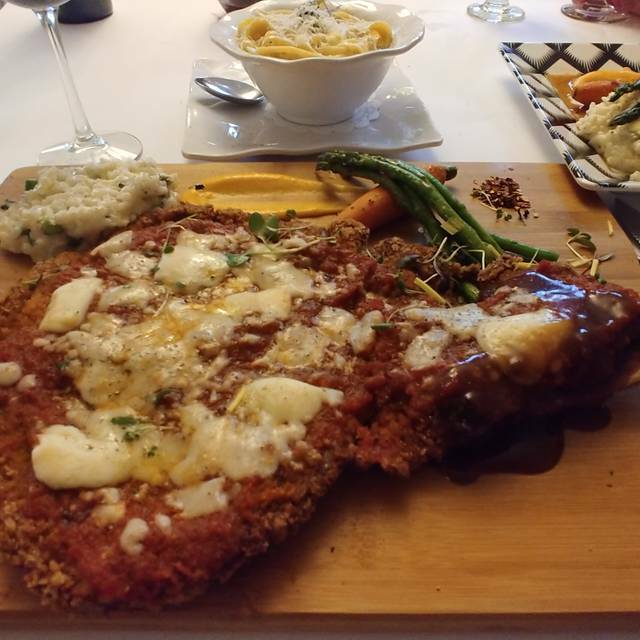 This intimate, family-owned Ristorante is one of the finest Italian eateries in Alberta. Violino has the reputation as being one of the most respected and influential Italian restaurant in Edmonton. The welcoming atmosphere and the sophisticated cuisine steeped in the rich tradition of Italian food culture, refined Violino as an authentic Italian restaurant. 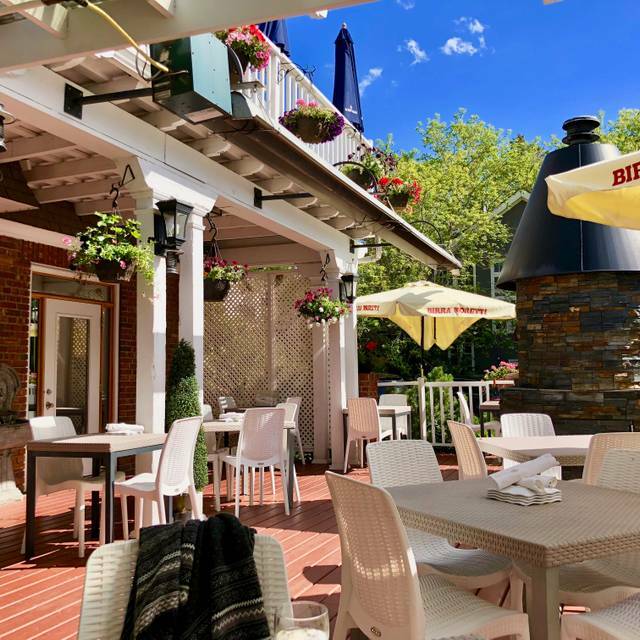 Violino specializes in the rich food and wine culture from Italian Peninsula, creating refined but unfussy food served in a lively intimate atmosphere accompanied with a comprehensive wine list. Violino is the perfect place to treat mom to our special Mother's Day 5 course choice brunch menu for 65$ per person. 5% G.S.T. and 18% Gratuity not included. Regular a la carte menu for dinner with Mother's Day Special's . Credit cards are required for confirmation. Amazing service, AMAZING FOOD! Definite must try! Excellent all around from atmosphere to Jesser our waiter; great food and ambiance! It has been a number of years since I have been to Violino. 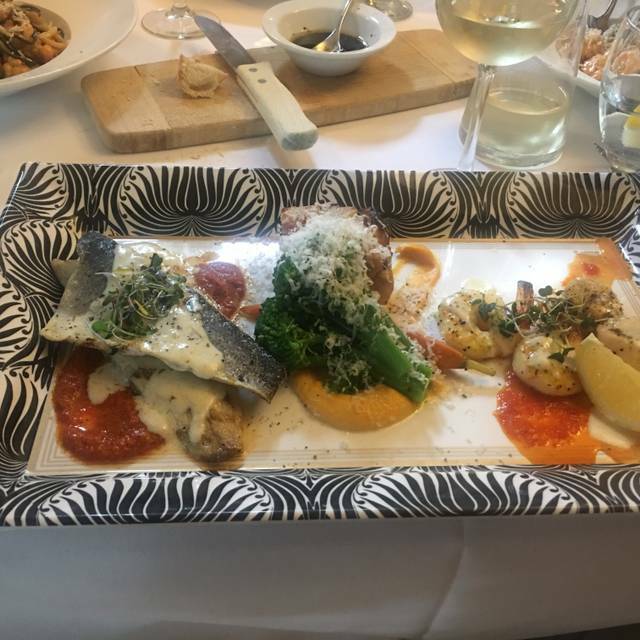 Happy to say the service is still excellent and the food was amazing. There were four people in our group and everyone noted how much they enjoyed the evening. Very enjoyable evening with friends. Staff and kitchen do an amazing job that elevates the dining experience to a highly personal level. Outstanding. We look forward to our next occasion. Very very nice restaurant,the male waiter was very professional very friendly! Good price great food,definitely will go back! It is located in a old house remodeled into a restaurant setting. Lots of character, tables are spacious and spread out, very quiet and upscale. An easy three hour evening, great for romance, anniversary or special celebration. The menu has a varied select for any pallet. Dishes were plentiful and very tasteful. The service lacked the night we went, only the one waiter which held up drinks and food courses it seemed like. The drinks come in standard bar glasses but tasteful. Overall it was really good. We had the cheese wheel and the black and white pasta with prawns and both dishes were very delicious and totally worth the money. Our server was very nice and polite. All in all we had very enjoyable time . Violino is everything an Italian restaurant should be. The food is really good. Definitely earned a spot in my favourite restaurant list. we have never been disappointed with Violino's. The ambience can't be beat. Service was terrific. Food excellent, as always. Perfect atmosphere. Great service very good food highly recommended. We will be back. The best restaurant in Edmonton. The service is impeccable and the food consistantly great. This is a gem in High Street. 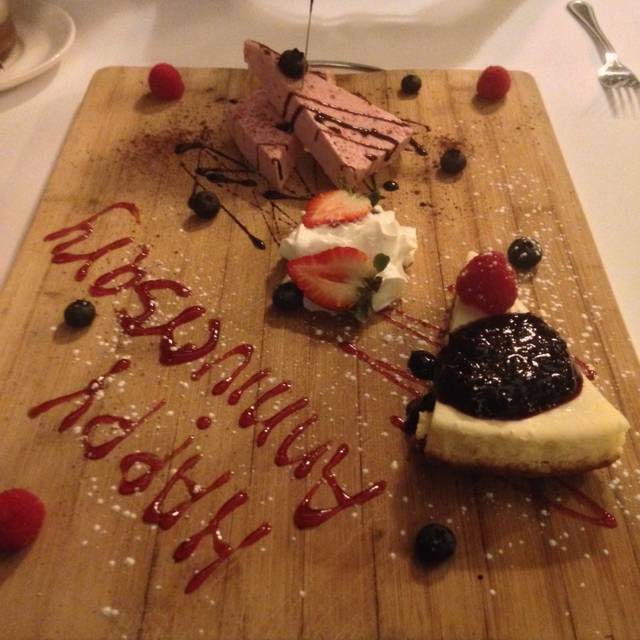 We truly loved the whole experience at this restaurant...can’t wait to go again! One of the best meals I have ever had. Everything was beautifully present and tasted wonderful. I would definitely go back. I used a special gift cert promo that was a waste of money. Ordered 2 soups which are on the menu under “antipastas” but were not included as appetizers to be used with my gift cert. Full charges of the gift cert were not used and other charges applied. The restaurant charges high end prices - but served soup in a plastic bowl. And there was white paper on the table cloth - not a high end restaurant practice. It was very cold next to the “marble wall”. When mentioned this to my server no attempt to address this was made. Food was good. Food prep was very good. What a lovely night out! Great service and food was exceptional. 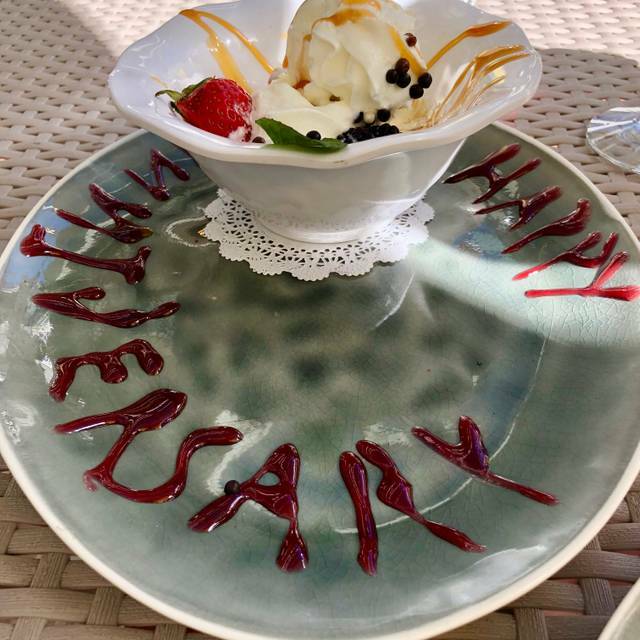 We were celebrating our anniversary and they even treated us to a special dessert. Thank you!! Best restaurant hands down, the staff are always friendly and attentive. The owner is absolutely wonderful too. The food is absolutely worth it everything hand crafted and presented beautifully. If your looking for a nice date place or a place to do a nice business meal this is it! Outstanding food and service ! I had Arctic char that was done to perfection. They were so accommodating of my request for gluten free choices (celiac). Waiter was friendly And knowledgeable! Going back for sure soon. 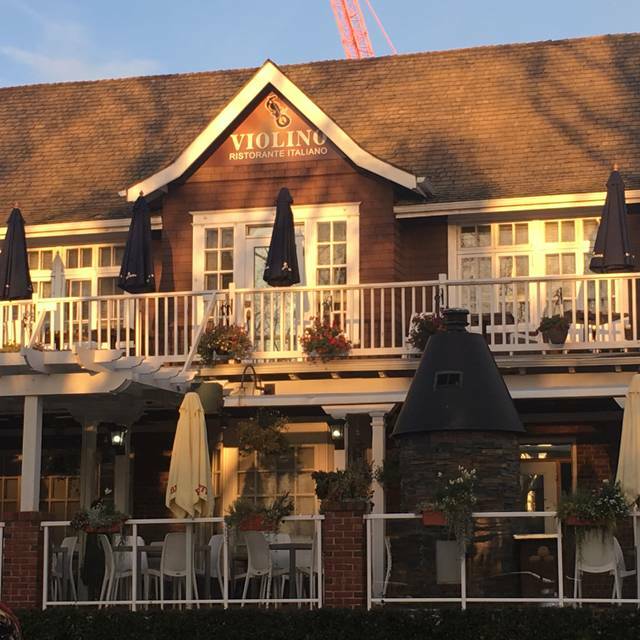 My husband and I really enjoyed our dining experience with Violino. Violino is in an old house and I love restaurants in old houses. The menu has a nice selection in all categories. The wine selection is very diverse and extensive as well. Our server was lovely. It was a little noisy for my liking but that's not the fault of Violino. I would definitely go to Violino again. My husband is Italian and so we are used to authentic Italian food and Violino is authentic. Thank you for the lovely evening. Will be back. By far my favourite restaurant in Edmonton. I love it! Ambiance was great. And service impeccable. Food is always delicious. A little pricey but quality looking forward to patio opening . lovely evening, it is on the expensive side, quiet so can hear the person you are talking to, lucky to find parking. we took our time and have a pleasant evening. Absolutely outstanding!! We left in awe of the amazing everything. If I had to say something to improve, it would’ve been our server, but everything was wonderful. Save this place for an outing with company you adore because you will not want to leave!!! They deserve the best romantic spot in Edmonton. Tables arranged with chocolate and roses,romantic music,great 4 course dinner with many choices and spot on service ,top notch.Great romantic evening.Thank you. We really enjoyed our time. The 4 course meal was amazing..
Beautiful and warm place, delicious dishes and good service! Was too costly for what we got and didn't like.the auto 18% grat added to the bill for a table of two. Server would have gotten a better top of that wasn't there. Decided to visit this fine italian ristorante and beautiful mansion built in 1913 surrounded by lush flower gardens, beautiful streets on our first wedding anniversary and it turned out be a memorable experience. 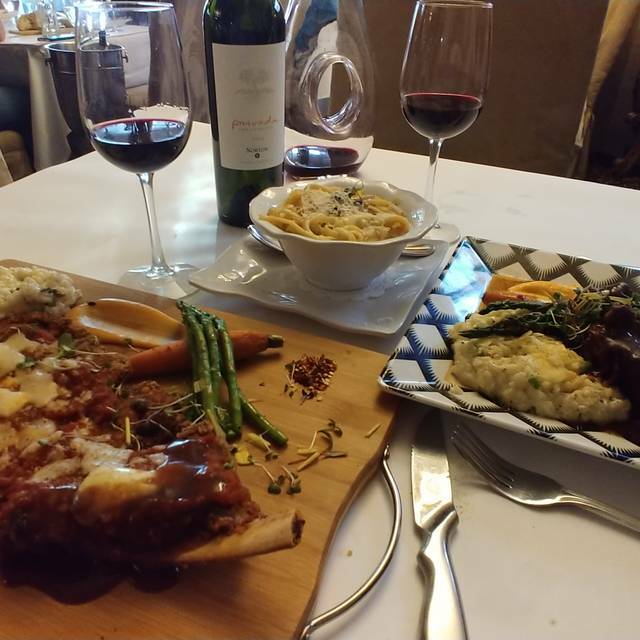 We got served by Jesser and he made sure to provide us a great dining experience at Violino. Even he asked, if there is any special occasion that day. Fettuccine Alfredo: We decided to give a try to violino’s signature pasta. They cooked the pasta in the kitchen and then Jesser prepared the alfredo sauce in Asiago cheese wheel in front of us while explaining the process. Pasta was incredibly rich and flavoursome, it is really difficult for one person to finish it off. I would definitely recommend to try this. Strato Lasagna: Totally enjoyed this mouthwatering infinite layers of italian sausage and meat, Ricotta, baby spinach, Mozzarella and asiago cheese. Bread Pudding: We planned to order bread pudding before but after having the delicious and fulfilling meal we changed our mind. And to our surprise, jesser served us the scrumptious bread pudding as a sweet gesture from violino family on our wedding anniversary. Good went for mothers milestone birthday. Really good service. Food was outstanding . It was a little cramped on the lower floor and very cold when the front door was opened. Had a great time. 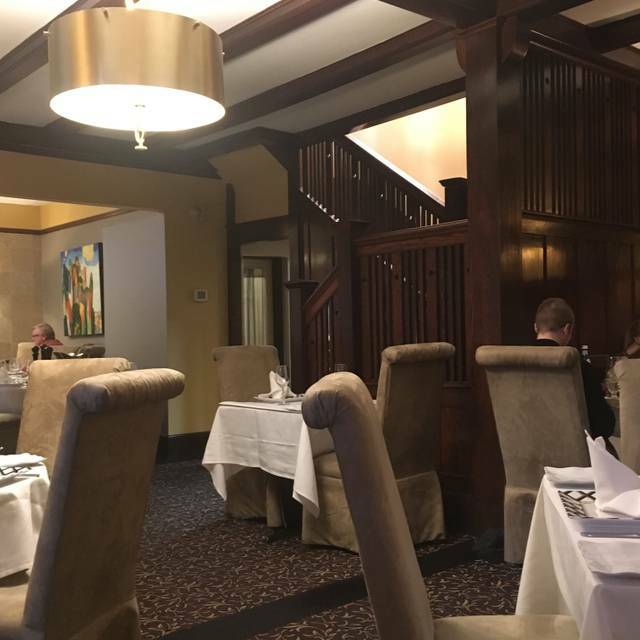 Top notch old school Italian restaurant in Edmonton. Hard to get a reservation on weekend, now I understand why. I love Italian cuisine and have been to many superb Italian restaurants and this is the BEST !! We had with us friends from L.A, they have never eaten here before . My wife and I each had a salad, pasta and a dessert. All six of them were primo. All the food that I saw looked tasty.Our friends said that this is an awesome place for Italian food, neat & clean. Restaurant manager, waiter & other's stuff are also professional. Everyone left happy & satisfied. Experience it. A night out planned by my mom, she took the kids and my husband and I went for dinner. Excellent service! Great food! A little pricey but worth it!! Food is terrible and service is ok. They need to invest in a chef and staff training. Excellent service from walking in the door to our server giving us a treat of Moscato at the end. 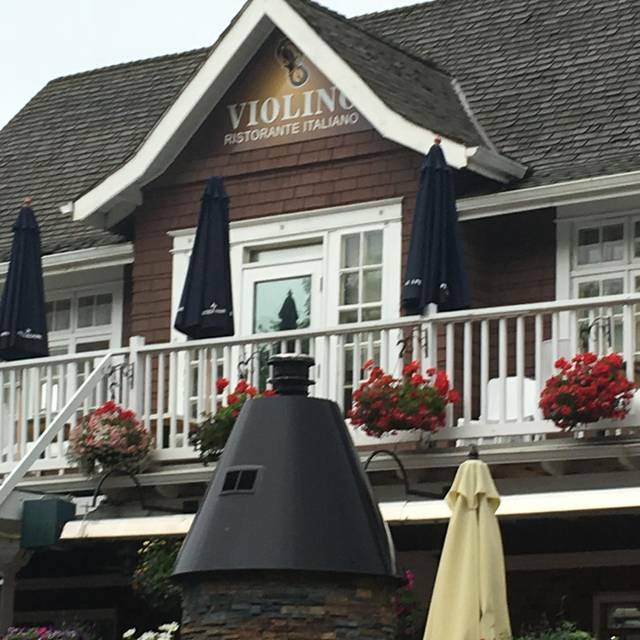 My husband and I shared the Violino signature and lasagna, and the food was very good. They take pride in looking after their customers. Will see them again soon.